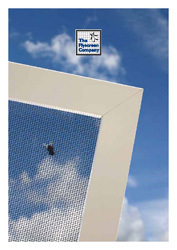 Whether you're a major food manufacturer, a school, restaurant, public house or any other business, we have an insect screen to suit your needs. Our screens will ensure your business complies with food and hygiene safety reulations and keep the health office happy! Our screens are easy to install but we also offer a national installation service to those who need this. Choose from DIY screening options or made to measure and we will have your screen out to you within 7 working days.